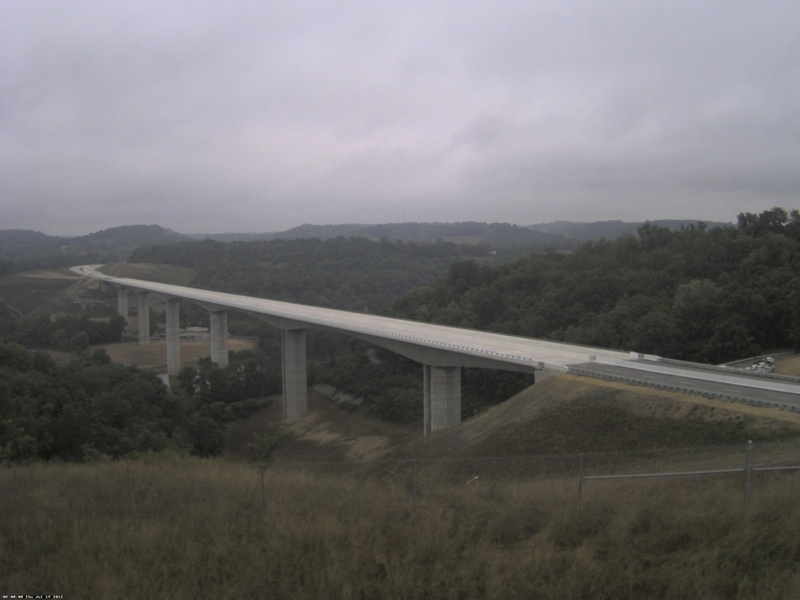 The Mon-Fayette Expressway, Uniontown to Brownsville Project, was one of four Mon-Fayette Transportation Projects undertaken by the Pennsylvania Turnpike Commission (PTC) in southwestern Pennsylvania in order to provide for safer and more efficient travel, addressing future capacity requirements and drawing traffic (specifically trucks) off U.S. Route 40 and onto a more modern facility. 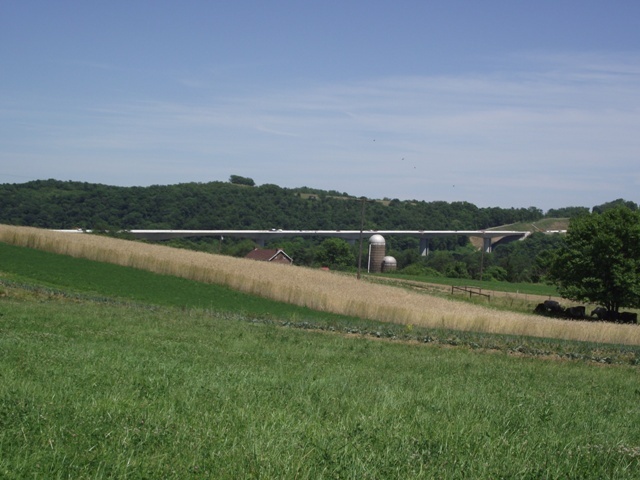 The project consisted of approximately 17 miles of new limited access highway between US Route 119 and PA 51 in Uniontown, to PA Route 88 west of Brownsville. 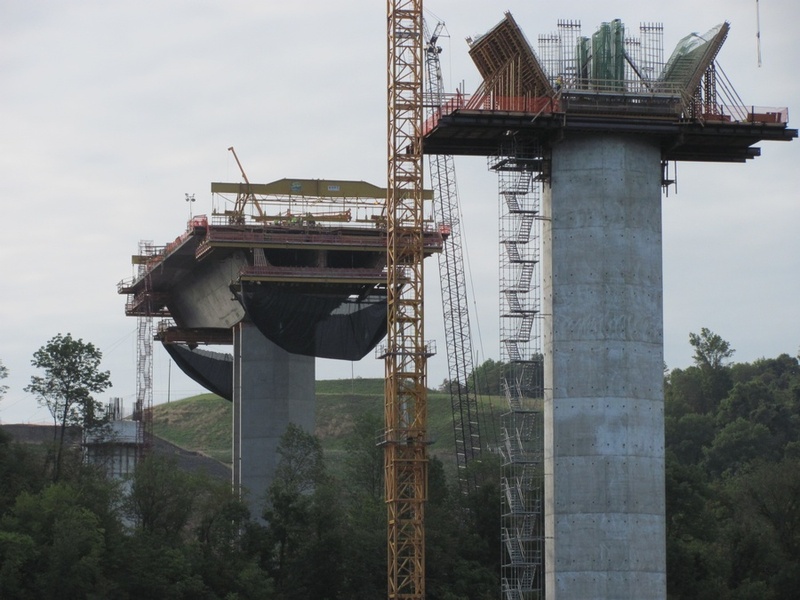 When completed, all sections of the Mon-Fayette Expressway projects will span 70 miles of continuous limited access highway connecting I-68 east of Morgantown, West Virginia to Parkway East (I-376) at Monroeville and Pittsburgh. 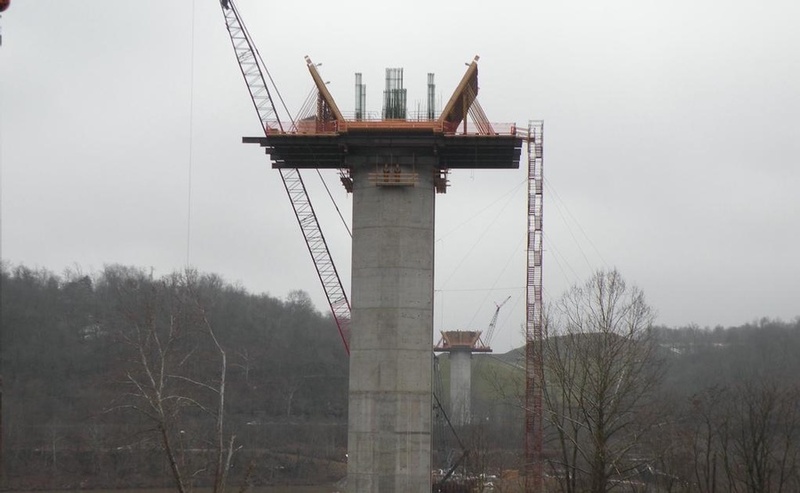 Section 51H included a new bridge that crosses the Monongahela River connecting Washington and Fayette Counties. 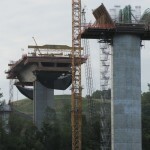 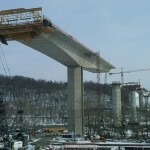 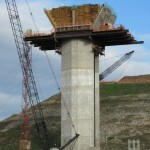 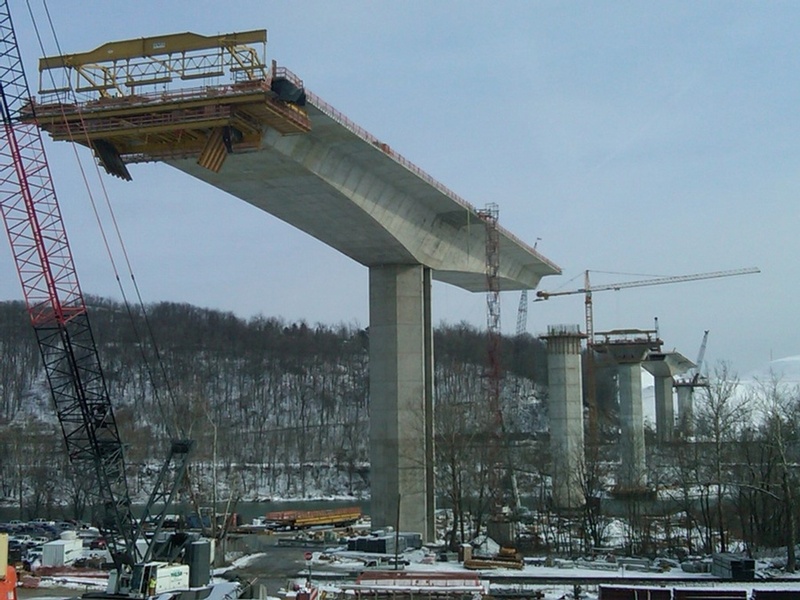 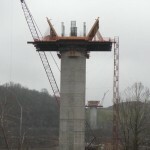 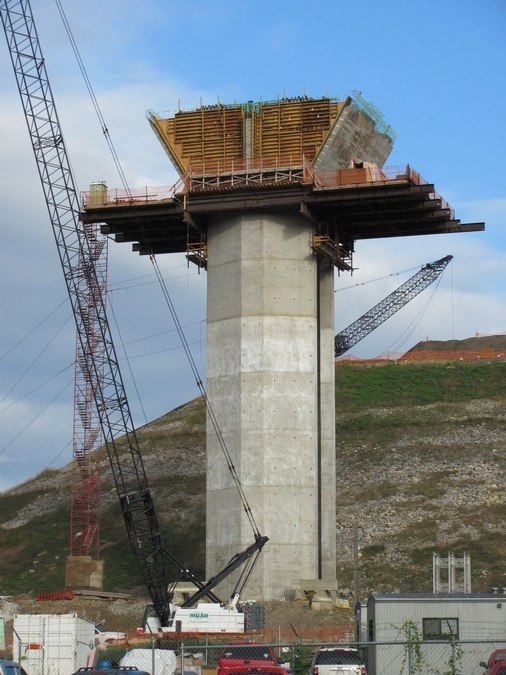 This cast-in-place segmental bridge has seven spans with lengths varying from 259’ to 518’ and was built utilizing the balanced cantilever construction method and cast-in-place construction for the end spans. 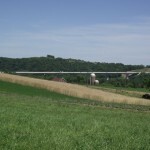 The length of the bridge is 3,022’ and its width is 89’ 4”. 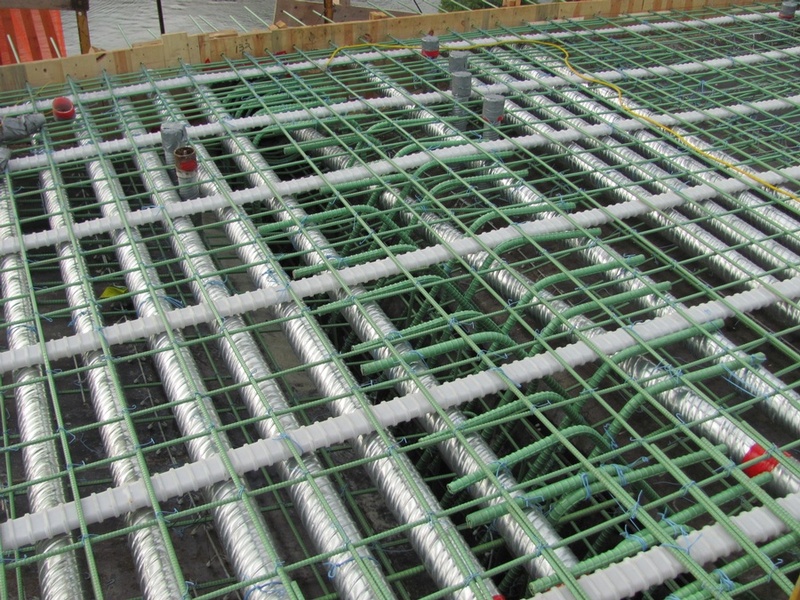 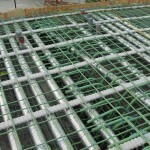 FINLEY provided technical assistance with segmental geometry control; independent computer modeling and analysis for structural deflections; independent calculations for casting curves, camber, and segment geometry; review of the Contractor’s manuals; casting geometry controls software; and both on-site and off-site technical support during construction.